With the first preseason games now less than a month away, we’ve spent the last couple weeks looking at the teams the Blackhawks will face in the new Central Division. So far, we’ve looked at the Winnipeg Jets, St. Louis Blues, Nashville Predators and Minnesota Wild. Today, let’s look at the team that was half of the biggest trade of the summer, the Dallas Stars. The Stars finished last year in 11th place in the Western Conference with 48 points (22-22-4). They were consistent, posting an identical 11-11-2 record at home and on the road. Unfortunately, they won only four of their last ten – including their last three games – and fell out of the playoff race. 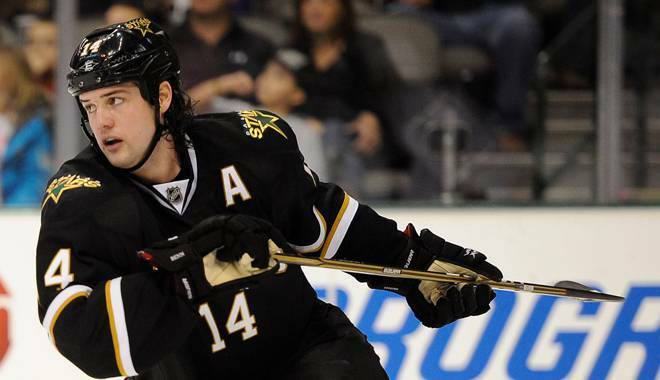 On Jan. 24, Dallas agreed on a five-year deal with emerging star forward Jamie Benn. He rewarded their financial confidence by posting 33 points (12 goals, 21 assists) in 41 games. The Stars issues were many last year, but keep the puck out of the net was their biggest problem. They finished 24th in the league, allowing 2.94 goals per game. Their penalty kill (81 percent) finished only 17th in the league as well. Another significant area of concern at the end of the season was at the dot. Dallas finished 27th in the NHL in faceoffs, winning only 47.2 percent of their draws last season. However, it’s hard to look back at the 2013 season and project to next season because of the significant changes made in Dallas. First year general manager Jim Nill came to Dallas after a long, respected run in Detroit, and immediately went to work turning over almost half of the Stars’ roster this summer. Benn was one of four Stars to eclipse 25 points last year, but two of those players will be elsewhere this season. Dallas traded Jaromir Jagr to Boston at the deadline, but his 14 goals in only 34 games held up as the team’s regular season high. Also departed from last year’s roster are Loui Eriksson (29 points) and Derek Roy (22 points). Eriksson was the centerpiece of the summer’s blockbuster trade that brought Tyler Seguin and Rich Peverley to Dallas. The Stars also added veteran center Shawn Horcoff and defenseman Sergei Gonchar in a dramatic overhaul that also included a new logo and new sweaters for the team. Seguin might slide into the top line center role, and the additions of Peverley and Horcoff should help remedy the issues that plagued Dallas in faceoffs last year. Peverley won 63 percent of his draws in the playoffs for Boston, while Horcoff won 49 percent of 500 faceoffs in Edmonton during the regular season. At 24, Benn will lead a group of forwards that will include a few older veterans in Ray Whitney (41), Vern Fiddler (33) and Horcoff (35 when the season starts) but mostly a young talented group. 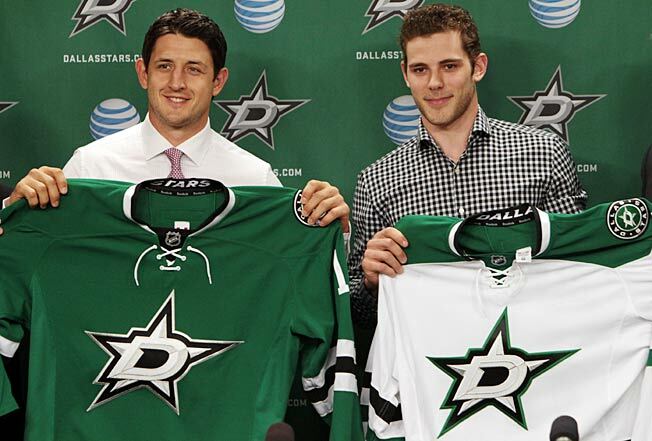 The addition of Seguin brings elite playmaking ability to the top of the Stars’ lineup. The 21-year-old scored 16 goals and added 16 assists in 48 regular season games for the Bruins last year, and added eight points (one goal, seven assists) in the playoffs. Last year, Alex Chiasson and Cody Eakin combined to post 31 points in 55 games. Eakin, 22, registered 24 points in 48 contests while Chiasson, who turns 22 on Oct. 1, posted seven points in seven games. There are some that believe 18-year-old forward Valeri Nichushkin, the 10th overall pick at the 2013 NHL Draft, could make the roster in training camp as well. The Stars will balance youth with experienced depth on their blue line as well. Brenden Dillon, 22, played in all 48 games last year and averaged 21:22 per night. Jamie Oleksiak, 20, could push for a spot on the Stars’ third pair as well after playing 16 games last year. Those two youngsters will join Gonchar, Alex Goligoski, Stephane Robidas and Trevor Daley in a deep group of defensemen. Between the pipes this year for Dallas will be Kari Lehtonen and another free agent addition, Dan Ellis. Lehtonon turns 30 in mid-November, and needs to put together a full, healthy season for the Stars to make a playoff run. The next generation in net for Dallas is potential superstar Jack Campbell, the team’s first round pick in 2010, who will likely spend another year in the AHL. Their new jerseys are so ugly. Their home sweater looks like the Blackhawks St. Patrick’s Day jerseys but with a different logo (which looks amateurish). 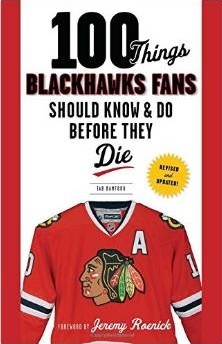 There are so many changes on the Stars since the Hawks last played them it’s impossible to get a handle on them. I guess lots of changes usually takes time before they work cohesively, at least with any consistency. With the exception of the Hawks and Blues, the rest of the division is one big crapshoot. It’s going to be interesting to watch the other teams form their identities. Yeah that new logo is really lame, isn’t it? On the hockey side of it, I do think Seguin and Peverley will bolster the team in many ways, but they are still pretty thin throughout their line up. I was really surprised the B’s let go of Seguin so early. He is a really talented player and I think they should of given him more time. Dallas is going to miss Eriksson too, he is such a great player and is truly one of underrated stars in the league. Overall I don’t think the Stars are going to be a threat in our division this year or the next few. Still should be fun playing them. Excited for this new format! Blues are the obvious team to watch, I think Dallas made some good moves- but will take time. The Preds are only going to grow/get better… as will the Jets… but I am always scared/surprised that the Avs are not better than they are- and waiting for them to put it together and go deep into playoffs (but still hasn’t happened). Oilers and Avs are two teams that give the Hawks fits- are talented, look like playoff teams vs. Hawks- but are less than average against the rest of the league??? I like the new uniforms, they look alot better than alot of teams, they will be alot better this year! The Logo reminds me of the Might Ducks.